What If Kids Are Being Mean to Your Child on the Playground? Seeing your child being bullied on the playground leaves you in a difficult position as a parent. You have the option of stepping in or letting your child handle the mean behavior. A bullying incident on the school playground is more difficult to handle since you aren't there to see it. Teaching your child how to handle the bullies and knowing when to step in is key to keeping your child safe. Whether you see the mean behavior or just hear about it from your child, you need to analyze what's going on before reacting. When you're with your child, keep an eye on his interactions with other kids. Monitoring a situation where a child is acting mean allows you to gauge when you need to step in. For incidents on the school playground, talk to your child to get the details of the situation. A clear understanding of the events leading up to the bullying and exactly what happened during the situation helps you give appropriate advice to your child and helps you know when to take action yourself. Your child's safety is your main priority in a situation when another child is being mean. If the child is physically hurting your child, step in immediately to remove your child from the situation. You should avoid contact with the other child, instead focusing on getting your child away. Stern words to tell the other child to stop may be warranted. If the situation isn't a physical threat to your child, you might call out to him and suggest playing in a different area. 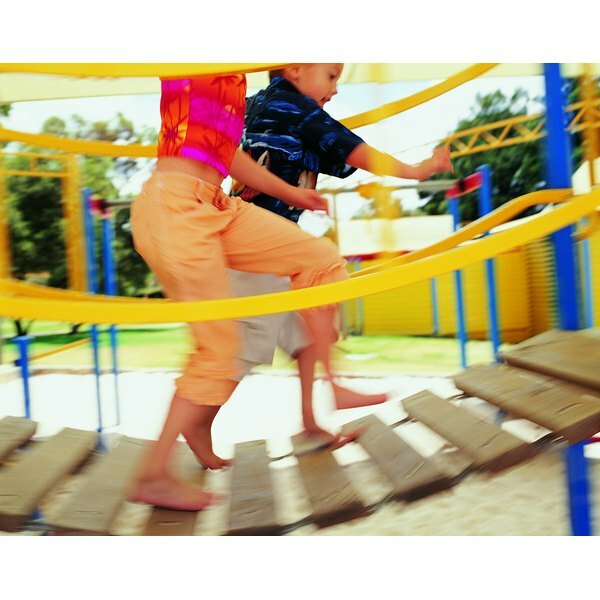 Other adults in the vicinity can help you handle the playground bullying situation. At a park playground, look for the other child's parent if he continues being mean to your child. No parent wants to hear her child is a bully, so approach the parent with caution and mention the situation calmly. If the incident is happening at school, contact your child's teacher immediately, especially if the mean behavior is an ongoing situation. The teacher can give you insight on the situation and monitor the behavior during school hours. If the teacher fails to help with the situation, contact administrators at the school. The American Psychological Association notes that bullying often takes place on the playground because there is less supervision. By talking about bullying on a regular basis you help your child know how to handle mean children on the playground. Role playing is a way to teach your child skills to handle the situation. If your child isn't sure how to stand up for himself, demonstrate how to ignore the behavior or firmly tell the other person to stop. Practice what your child could say to an adult nearby who can help when someone is being mean on the playground. Role playing is also a way to help your child practice being confident and standing up for himself, which may make him less of a bullying target.